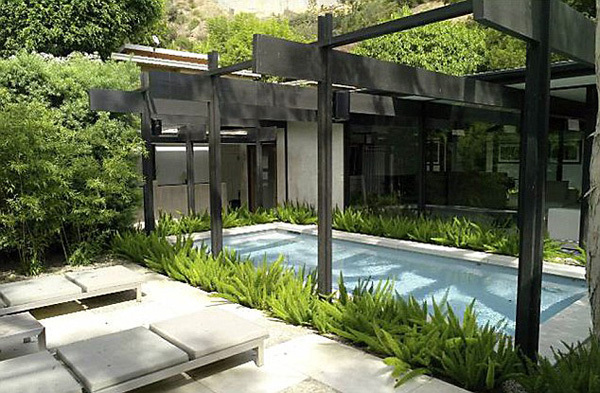 Jason Statham puts his transparent Hollywood Hills House for sale for $2.74 million. 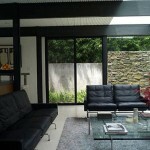 Featuring glass walls the house often gets compared to Philip Johnson’s “Glass House” this Hollywood Hills. 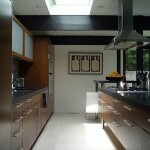 The house has three bedrooms and bathrooms and boasts 2,280 sq ft area. 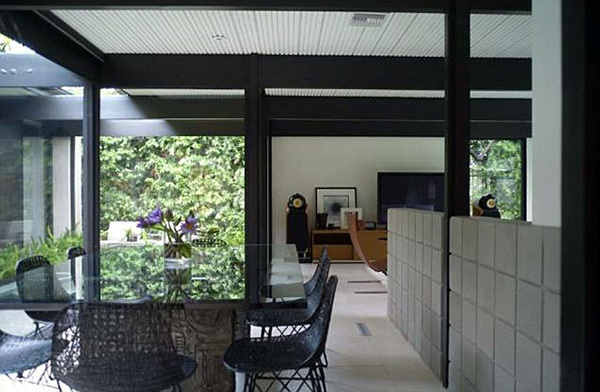 The house is surrounded by hedges and plants surrounding the swimming pool area. 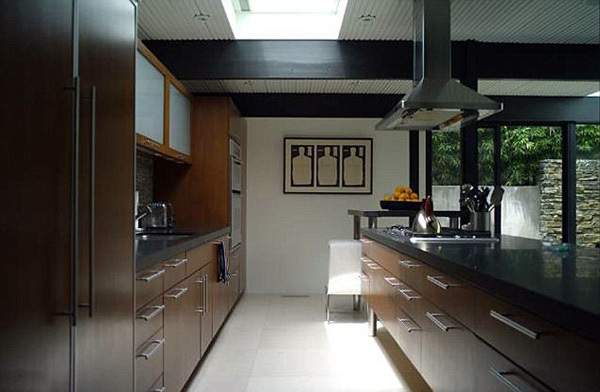 Jason Statham’s Glass Hollywood Hills House is modern in style and it’s design is sleek but not too minimalist. The style is made to suit a man. 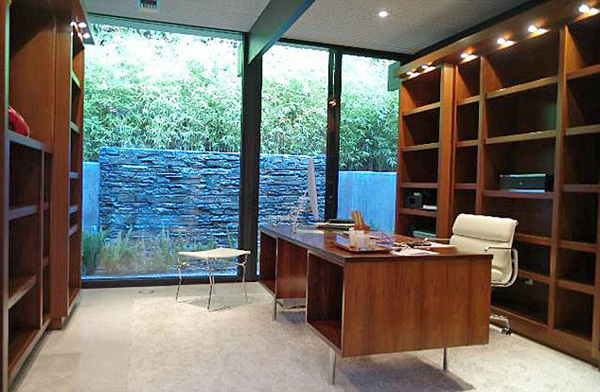 The house has an office with floor-to-ceiling shelves and huge desk and white chair. 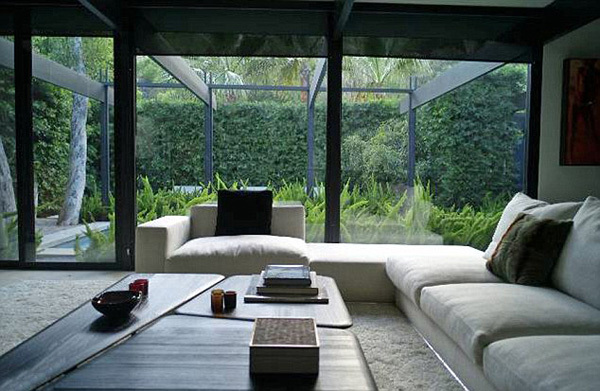 The house is also full of light due to glass walls and the greenery outside adds some warmth to it. 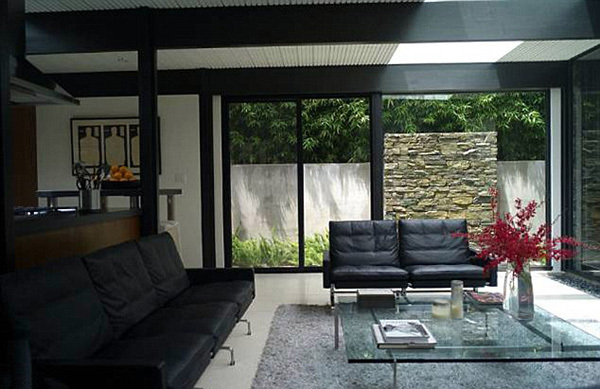 The black frame of the house greatly contrasts with black and white furniture, glass walls and some wooden elements. 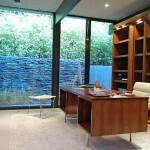 The bathroom also has a glass wall that shows hedges and greenery and features glass and marble. 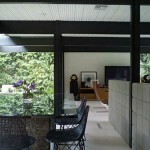 One of the bedrooms has a huge flat-screen TV and a view on the outside lounge area. Meanwhile Statham is building a new home for him and his model girlfriend Rosie Huntington-Whiteley somewhere in L.A.